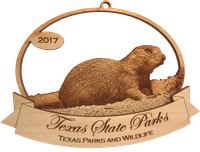 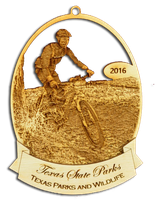 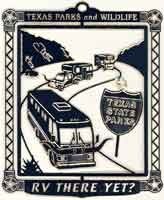 Since 2002, Texas State Parks has produced a limited quantity of ornaments each year to celebrate the Texas State Park System. 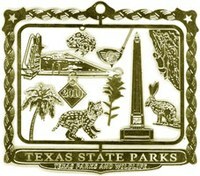 The ornaments tell the story of Texas' natural, cultural and historical resources. 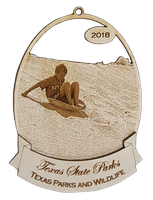 The images featured on each edition include buildings, wildlife, plants, and the many outdoor activities that you can enjoy at the more than 90 state parks and historic sites across Texas. 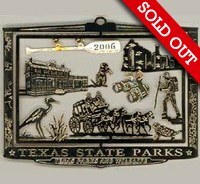 Purchase the current ornaments and a limited quantities of previous year's ornaments by calling (512) 389-8900. 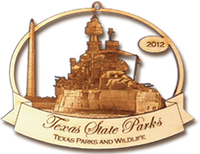 The first decade of state park ornaments included a collage of iconic images from across the state, captured in 24k gold plated ornaments. 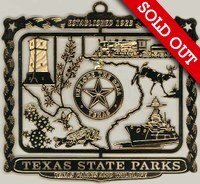 The first ornament, released in 2002, did not feature a date. 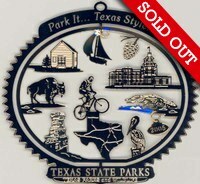 Due to popular demand, subsequent ornaments were produced each year and dated. 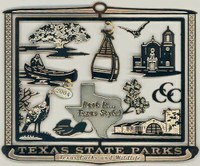 To celebrate the 10th year of the ornament collection in 2011, TPWD issued a colorized version featuring elements from the previous 10 years. 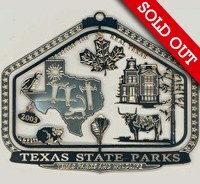 It was the first state park ornament to sell out. 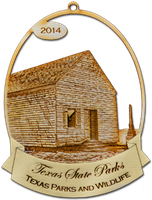 Eagle-eyed park enthusiasts will notice some ornaments feature sites that are no longer part of the state park system, such as Sebastopol House and Fulton Mansion. 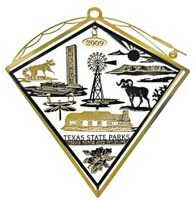 In 2012, the state park ornament program began to feature specific parks with a more natural look. 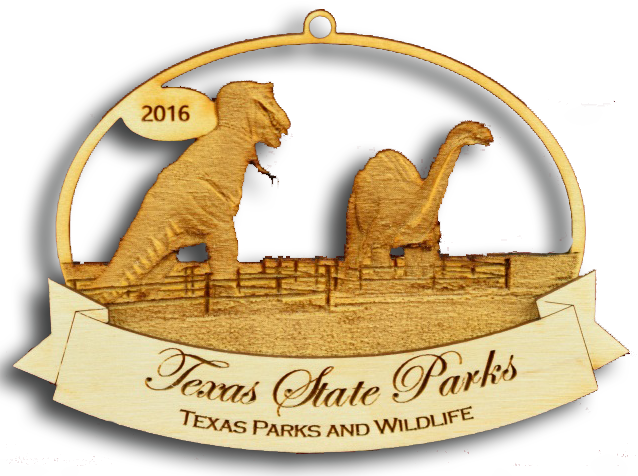 Lasers burn photograph-quality images into wood for these ornaments. 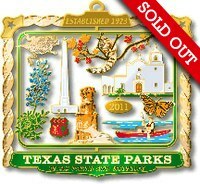 The back of each ornament has a short message about the featured park. 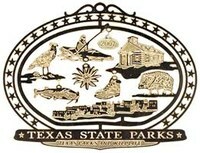 Each year a trio of parks is featured: one historic site or facility, one park with a unique animal or geographic feature, and one park and its special activity. 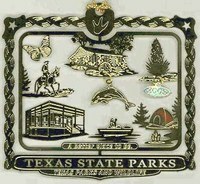 These ornaments were available in sets of three or individually.